Imagine, if you will, a faraway northern land. Then imagine a cold, vast lake with a tiny piece of rock right in the middle, with a beautiful secluded church squeezed on top of it. A mythical fairy tale? Nope - a Russian architect's dream sprung out of his visionary sketches. 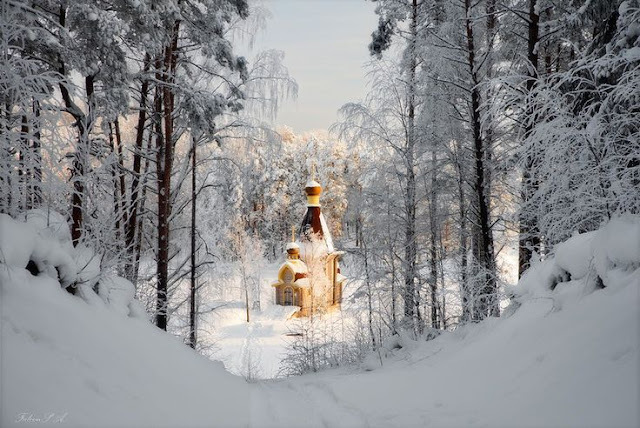 Although I am definitely not the religious type of person, I can still appreciate the beauty and craftsmanship of religious architecture, and sometimes, the humble nature of smaller chapels do it better than the great marvels of Rome. 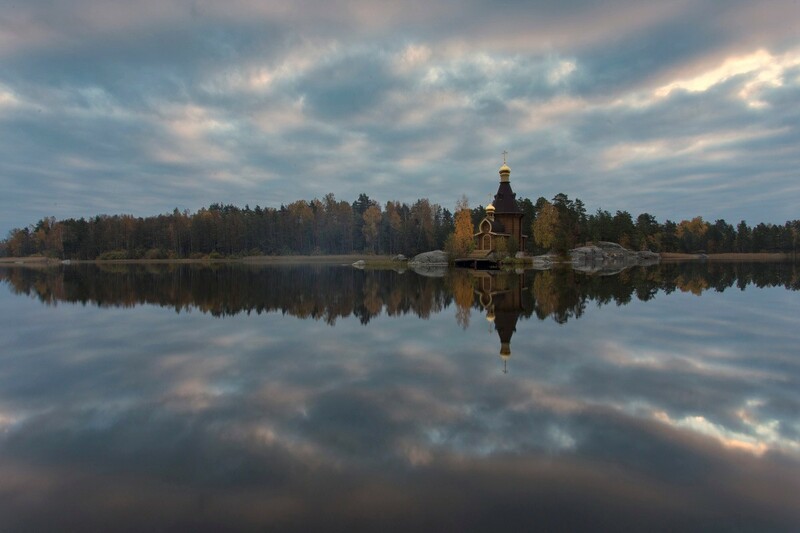 Thanks to English Russia for the beautiful photos - here's hoping they inspired your wanderlust soul this week!